Dutch energy company Eneco has purchased Fugro’s new wind LiDAR buoy while a Japanese company is to deploy its buoy close to a floating power generation system. Fugro recently developed what it calls an accurate and cost-effective alternative to the traditional method of wind profile measurements for offshore wind farms. 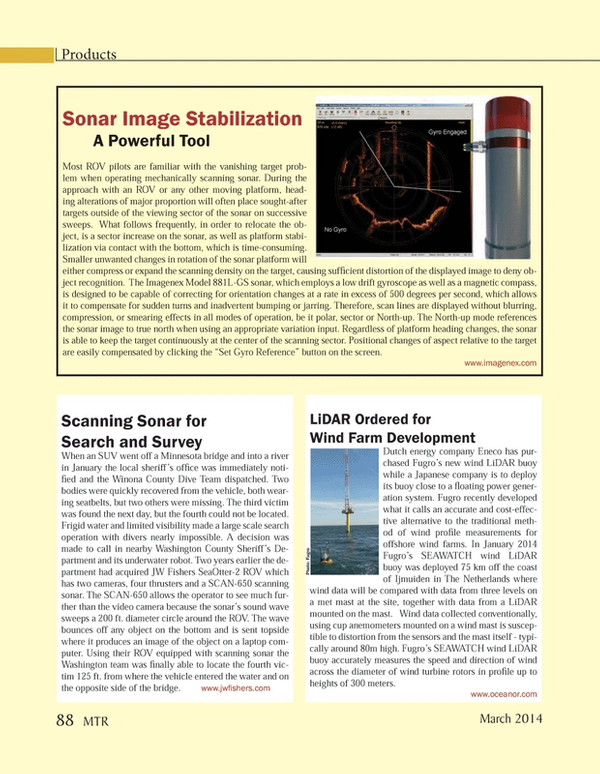 In January 2014 Fugro’s SEAWATCH wind LiDAR buoy was deployed 75 km off the coast of Ijmuiden in The Netherlands where wind data will be compared with data from three levels on a met mast at the site, together with data from a LiDAR mounted on the mast. Wind data collected conventionally, using cup anemometers mounted on a wind mast is susceptible to distortion from the sensors and the mast itself - typically around 80m high. Fugro’s SEAWATCH wind LiDAR buoy accurately measures the speed and direction of wind across the diameter of wind turbine rotors in profile up to heights of 300 meters.